When You Rise created some printable verses you can laminate and put around your home to help you focus your mind on Jesus this Christmas. 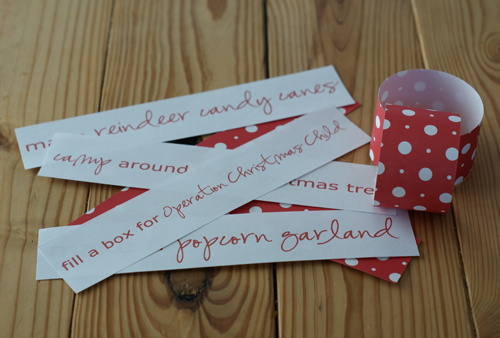 Mandi is offering a free printable Advent Chain as a fun way to count down to Christmas. 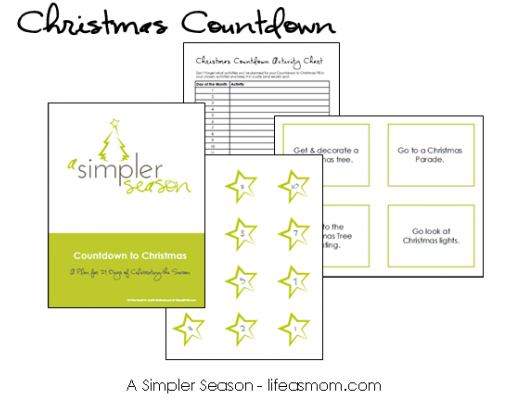 Jessica from LifeAsMOM is offering a free Christmas Countdown download. 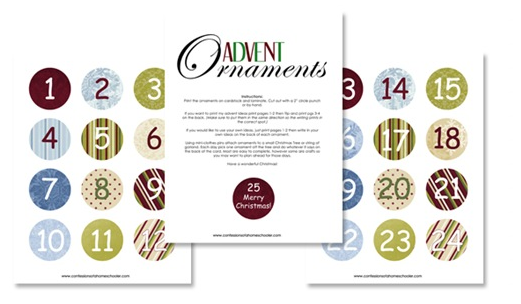 The Prudent Pantry shares how to make a Christmas Book Advent Calendar. Teaching Good Eaters shares how they are incorporating the Christmas Book Basket Advent Calendar idea in their home. We’re doing our own variation of this idea this year. I’ll be sharing more about that sometime in the next week or so, along with some of our family’s favorite Christmas books. 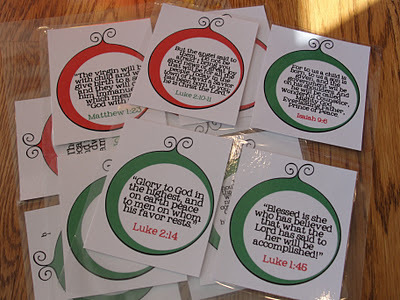 Confessions of a Homeschooler shows you how to make Advent Activity Ornaments. Her post includes free printables and a list of activity ideas. We’re also doing a variation of this: we made a list of all the activities we wanted to do this Christmas season (each family member got to pick 3-4) and then we assigned each activity to a day in December. We may not end up doing every single thing on the list, but having it all planned out ahead of time is definitely going to guarantee that we do a number of fun, meaningful, and memorable family activities this Christmas. Looking for a really simple Advent Calendar idea? 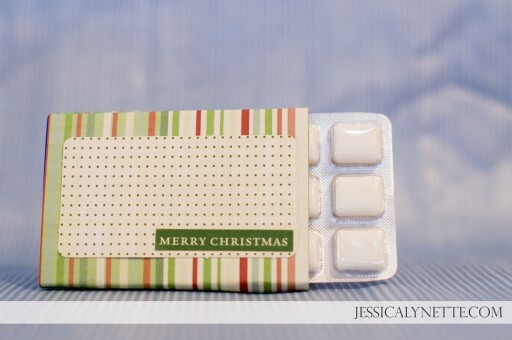 Jessica shows you how to make your own Advent Calendars from packs of gum. How is your family seeking to make Advent meaningful? I’d love to hear your ideas! This year I made a pattern for some envelopes and numbers to add to them. We arranged them in the shape of a tree. Each envelope holds a Bible verse and a little trinket for the day. My son is excited each morning to “do” our Bible verse and to see what’s in the envelope. We also have some Jesse tree ornaments we made a few years ago. We read a Bible section and then hang the ornament on the tree. It really helps to focus the kids on the whole reason behind Christmas and less on material things. Thanks so much for sharing my book basket idea again! With Thanksgiving being so late, I am running way behind and haven’t even wrapped my books yet 🙂 I’m thinking that we’ll just start next Sunday night and maybe I’ll make two baskets- one for the older kids and one for the younger ones!